Are you still typing your electrical component’s information on to the symbols manually? Manually typing the component’s information is very time consuming and may cause mistake. Copy paste to reuse a symbol will speed up the process but you still need to edit the symbol mark. In a large multipage electrical schematic diagram, how can you ensure that your symbol marks did not overlap? Do you check it page by page to make sure every symbol have its own mark? I always make sure I don't spend my time on non-value added activities, and I make sure I utilise technology/ system for those repetitive tasks. SolidWorks Electrical has the abilities to solve these problems. In SolidWorks Electrical, symbols are associated to the manufacturer parts which defined by the user. With this association, the information of the components will be shown on the symbol automatically. It saves your time to search for the components information and type in manually. 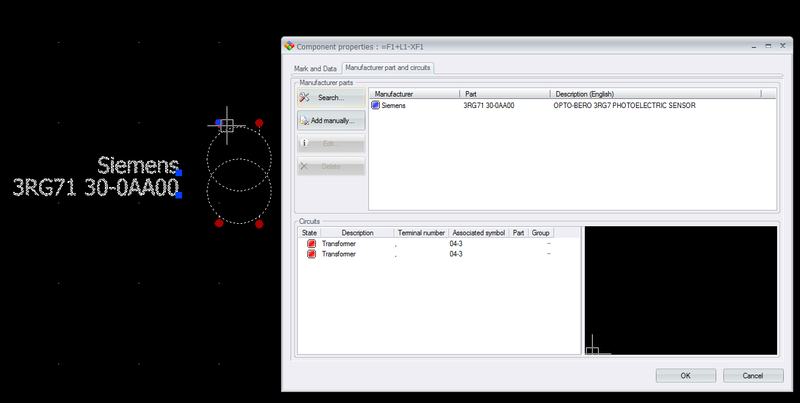 Copying the symbol is simple in SolidWorks Electrical. Once you paste the symbol, the symbol mark will automatically increase to an unused number. It reduces your time on editing the text to change the number and thinking on what will be the last number had being used. Hope this would help you do your Electrical Design more efficiently!